Battlefield 1 Revolution+UFC 2+The Forest EU/RU PS4 540 450 руб. Mortal Kombat X+UFC 2+Batman: Arkham Knight+Games EU/RU PS4 600 500 руб. Mortal Kombat X+UFC 2+Worms+Oddworld EU/RU PS4 600 500 руб. EA SPORTS™ UFC® 3 USA PS4 720 600 руб. Diablo III+Mortal Kombat X+UFC 2+FIFA 17 Россия PS4 840 700 руб. Detroit: Become Human+EA SPORTS UFC 2 ENG PS4 960 800 руб. PLAYERUNKNOWN BATTLEGROUNDS+UFC 3+6 TOP USA PS4 960 800 руб. EA SPORTS UFC 3 EU/RU PS4 960 800 руб. EA SPORTS UFC 3 Edition Notorious EU/RU PS4 960 800 руб. NBA LIVE 19 All-Star+UFC 2+Witcher 3+NBA 2K18+TOP USA PS4 960 800 руб. Battlefield V+Black Ops 4+God of War+UFC 3+7 TOP US PS4 1020 850 руб. FIFA 19+UFC 3 Deluxe+Resident Evil 4 USA PS4 1200 1000 руб. EA SPORTS UFC 3+DARK SOULS II+Dishonored Россия PS4 1200 1000 руб. FIFA 19+Horizon+UNCHARTED 4+6 Games EU/RU PS4 1200 1000 руб. EA SPORTS UFC 3+Sniper Elite 4+Mortal Kombat X+TOP EU/RU PS4 1200 1000 руб. Tennis World Tour+NHL 19+UFC 3+UNCHARTED 4+13 Игр Россия PS4 1200 1000 руб. Red Dead Redemption 2:Ultimate+Skyrim+UFC 2 EU/RU PS4 1440 1200 руб. Detroit:Стать Человеком+Horizon+UFC 2+8 Игр Россия PS4 1440 1200 руб. Detroit:Стать человеком+UFC 3+MK X+Horizon+6 Игр Россия PS4 1500 1250 руб. EA SPORTS UFC 2 PS4 ENG HIT !250 руб. 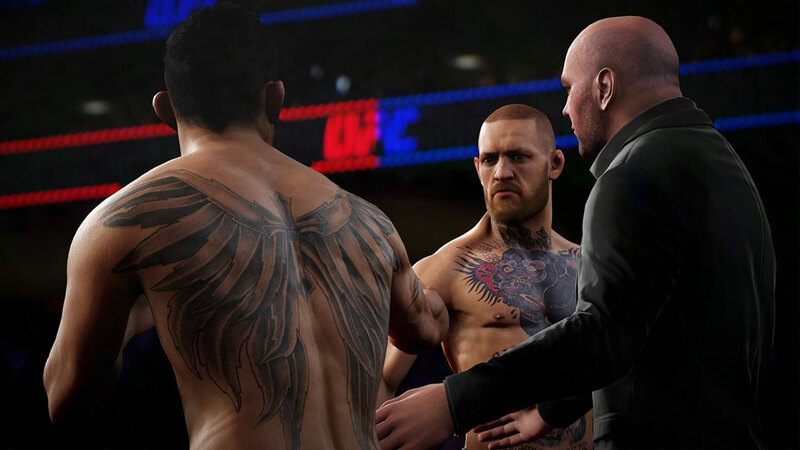 EA SPORTS UFC 2 PS4 ENG250 руб. EA SPORTS™ UFC® 2 PS4 EUR250 руб. EA SPORTS UFC 2 PS4 USA250 руб. EA SPORTS UFC 2 PS4 EUR250 руб. PS4 EA SPORTS UFC 2 (USA)250 руб. EA SPORTS UFC 2 PS4 EU HIT!250 руб. EA SPORTS UFC PS4 USA250 руб. 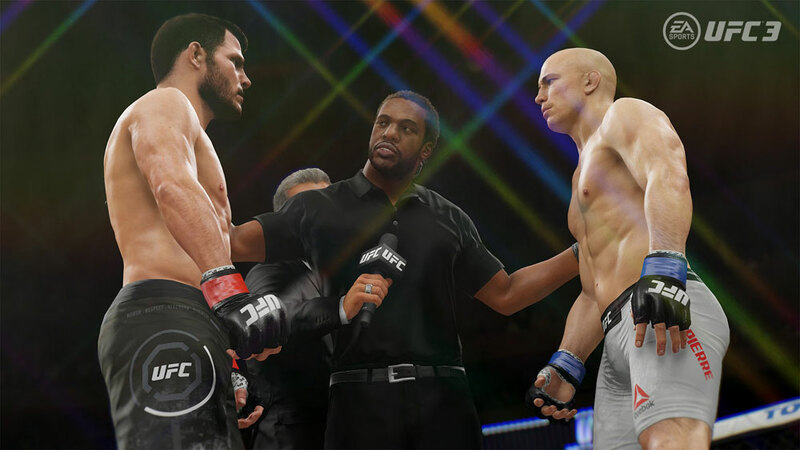 EA SPORTS UFC PS4 ENG250 руб. EA SPORTS UFC 2 PS4250 руб. The Battlefield 1+ UFC 2 +NFS+ 3 GAMES (PS4/RUS)299 руб. EA SPORTS™ UFC® 2 PS4 300 руб. EA SPORTS™ UFC® 2 PS4 РОССИЯ300 руб. EA SPORTS™ UFC® 2 Deluxe Edition PS4 USA300 руб. EA SPORTS™ UFC® 2 Deluxe Edition PS4 EUR300 руб. EA SPORTS™ UFC® 2 + FIFA 18 PS4 EUR300 руб. Crash Bandicoot N. Sane Trilogy+UFC 2 (PS4) EURO350 руб. EA SPORTS UFC 2 + FIFA 18 PS4 EUR350 руб. EA SPORTS UFC 2 + Rocket League - Game of the Year PS4 ENG350 руб. EA SPORTS UFC 2 + Crash Bandicoot N. Sane Trilogy PS4 EUR350 руб. EA SPORTS™ UFC® 2 + (FIFA 16 RUS) |EUR| PS4350 руб. EA SPORTS UFC 2 + The Elder Scrolls V: Skyrim PS4 EUR350 руб. DRAGON BALL XENOVERSE 2 + Overwatch + UFC® 2 PS4 EUR350 руб. UFC® 2 + Unravel + Resident Evil 0,4 PS4 USA350 руб. PS4(RU)The Last of Us Remastered +UFC 2350 руб. PS4(USA)DRAGON BALL FIGHTERZ+EA SPORTS™ UFC® 2 359 руб. FIFA 18 + UFC2 PS4 EUR/RUS399 руб. EA SPORTS™ UFC® 2 (EUR) PS4399 руб. EA SPORTS™ UFC® 2 (USA) PS4399 руб. UFC 2 Deluxe Edition + Battlefield 4 Premium Edition PS4 USA439 руб. EA SPORTS™ UFC® 2 Deluxe Edition (RUS) PS4449 руб. PS4(USA)Unravel Two+Sonic Mania+UFC 2450 руб. PS4(RU)UFC® 2+Alien: Isolation+Marvel vs. Capcom450 руб. EA SPORTS UFC 2+Ultimate Marvel vs Capcom 3+Twisted(USA) PS4450 руб. Ghost Recon+UFC 2+Shadow of Mordor (PS4) USA450 руб. Diablo III: Eternal + Devil May Cry 4 + UFC 2 PS4 ENG450 руб. NFS Payback Deluxe+Battlefront II+UFC 2 Deluxe (PS4) USA450 руб. PS4(ENG)Skyrim+UFC® 2+DRAGON BALL XENOVERSE 2450 руб. UFC+Fortnite+De Sims 4 (PS4) USA450 руб. EA SPORTS™ UFC® 2 + CoD IW + STAR WARS PS4 USA450 руб. UFC 2 + STEEP + Tomb Raider: Definitive Edition PS4 EUR450 руб. Assassin's Creed Syndicate + Games PS4 EUR450 руб. П3 - UFC 2 (PS4/RU) Активация499 руб. П1 - Ufc 3 (PS4/RU) Оффлайн499 руб. UFC 2+Gran Turismo+A Way Out+TLOU (PS4) USA500 руб. UFC® 2+Horizon+South Park+BF1 (PS4) USA500 руб. UFC 2+MONSTER HUNTER+ARK (PS4)USA500 руб. UFC 2 Deluxe + NFS Payback + gms USA/PS4500 руб. Andromeda+UFC 2+GT SPORT+Ratchet & Clank(PS4)EU|RU500 руб. RiseTombRaider+Definitive+UFC 2 (PS4) EU|RU500 руб. A Way Out+UFC 2+GT SPORT+UNCHARTED ND+TLOU (PS4) USA500 руб. The Witcher 3+ UFC 2+ inFAMOUS+ No Man's Sky PS4 EUR500 руб. FOR HONOR+ Battlefield 4+ DIVISION+ Sims 4+ Games PS4 EU/RUS500 руб. Crash Bandicoot+UFC® 2+Overwatch+San Andreas (PS4) USA500 руб. Horizon Zero Dawn+ Batman+ The Last of Us+ XCOM 2 PS4 EU/RUS500 руб. Mortal Kombat XL + EA SPORTS UFC 2 PS4 РОССИЯ500 руб. Assassin's Creed® + UFC® 2 + Dragon Age™: Инквиз PS4 РОССИЯ500 руб. FIFA 18+Destiny® – The Collection+3 TOP GAMES (EUR/RUS) PS4500 руб. Mortal Kombat XL + STAR WARS + UFC 2 PS4 РОССИЯ500 руб. UFC 2 + Rocket League + Ведьмак 3 + Bloodborne PS4 РОССИЯ500 руб. П2 - UFC3 (PS4/RU) (П2 - Основной аккаунт)550 руб. PS4(RU)Conan Exiles+GT Sport+inFAMOUS™ First Light+Mirror's 599 руб. Mafia III + LEGO BATMAN 3 + EA SPORTS UFC PS4 РОССИЯ599 руб. Brunswick Pro Bowling + UFC 2 +STAR WARS Battlefront PS4 USA599 руб. KINGDOM HEARTS HD 2.8 + UFC 2 + 2GAMES PS4 EUR/RUS599 руб. The Evil Within + UFC2 + Friday 13th + GOW III PS4 EUR599 руб. UFC 2 + Watch Dogs 2 +Overwatch+COD WWII+Friday 13th PS4 USA599 руб. EA SPORTS UFC 3(USA|RU) PS4600 руб. 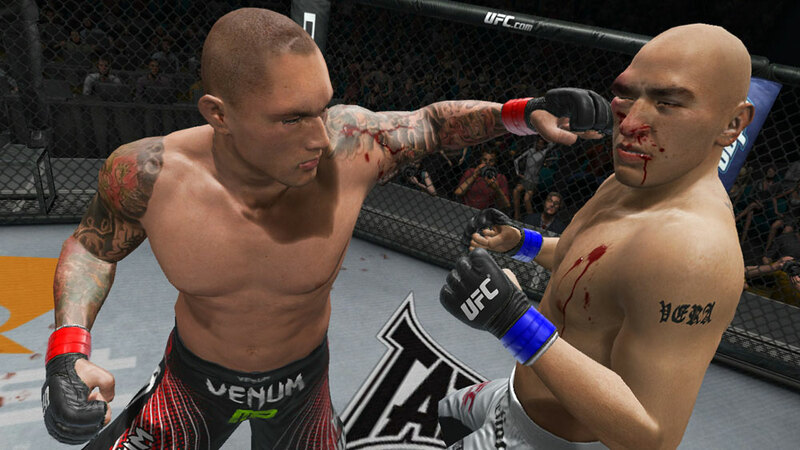 EA SPORTS UFC 3 PS4 USA600 руб. UFC 3 ( EU/RU/ENG/PS4 )600 руб. EA SPORTS UFC 3 Deluxe Edition PS4 USA600 руб. EA SPORTS UFC 3 PS4 ENG600 руб. EA SPORTS™ UFC® 3 PS4 USA600 руб. EA SPORTS™ UFC 3(EU) PS4600 руб. UFC 2 Deluxe (PS4/RUS) Гарантия650 руб. Tour de France 2016 +5GAMES PS4 ENG699 руб. PS4(USA)EA SPORTS™ UFC® 3 700 руб. PS4 UFC 3 Deluxe Edition(USA)700 руб. PS4(RU)EA SPORTS™ UFC 3 700 руб. Spyro Reignited Trilogy + UFC 3 + 2GAMES PS4 SUA700 руб. Spyro Reignited Trilogy + 7GAMES PS4 EUR/RUS700 руб. Mortal Kombat XL + UFC 2 + Crash + Spyro + 5GAMES PS4 USA700 руб. PS4 UFC 3 (RU) РУ 700 руб. 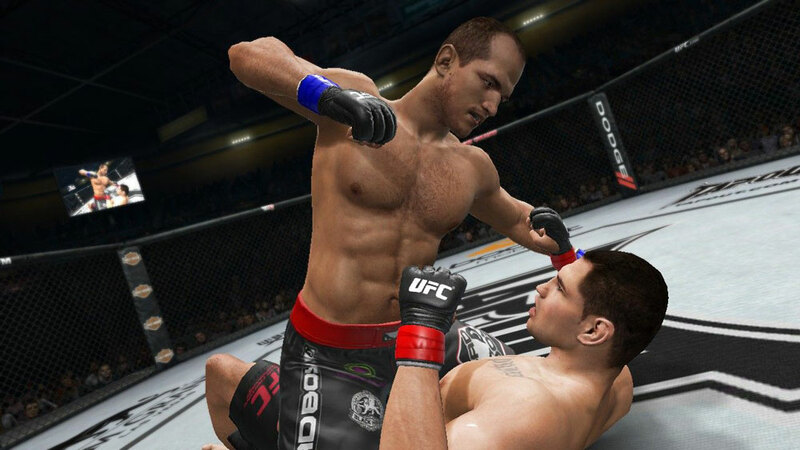 EA SPORTS™ UFC® 3 PS4 RUS700 руб. TOM CLANCY'S DIVISION+Mortal Kombat X+UFC 2 [PS4\RUS] 799 руб. Call of Duty: Ghosts+Infinite Warfare+UFC 2[PS4\RUS]799 руб. The Witcher 3 + Shadow of War + ИГРЫ PS4 ENG799 руб. DRAGON BALL FighterZ +UFC 3+Crew 2+NBA 2K18(USA)PS4800 руб. EA SPORTS UFC 3 PS4 EU/RUS HIT !800 руб. Crash+Destiny 2: Forsaken+UFC 2+God of War+NFS (PS4) USA800 руб. Far Cry 5+Mafia III+Rise of the Tomb Raider +UFC 2(PS4) USA800 руб. EA SPORTS™ UFC® 3 PS4 РОССИЯ800 руб. JUMP FORCE + EA SPORTS UFC 3 PS4 USA800 руб. Call of Duty: Black Ops 4 + UFC 2 + Black Ops III PS4 ENG800 руб. PUBG+ EA SPORTS UFC 3+ Battlefield 1+ DOOM PS4 USA800 руб. EA SPORTS UFC 3 PS4 EUR/RUS800 руб. EA SPORTS UFC 3 (PS4) RU | Русский язык800 руб. UFC 3 + God of War + 3GAMES PS4 USA800 руб. UFC 3 + Spyro + 2GAMES PS4 USA800 руб. EA SPORTS UFC 3(PS4/Русский язык/RUS)800 руб. Mortal Kombat X + WRC 7 + ИГРЫ PS4 РОССИЯ800 руб. Assassin's Creed® Odyssey + EA SPORTS™ UFC® 3 PS4 USA800 руб. UFC 3 + Odyssey PS4 EUR800 руб. Call of Duty: Black Ops 4 + NBA LIVE 19 + GAMES EU|PS4800 руб. EA SPORTS UFC 3 PS4 EUR/ RUS800 руб. Call of Duty: Black Ops 4+EA SPORTS UFC 2 (PS4) USA800 руб. EA SPORTS UFC 3 Deluxe Edition PS4 RUS800 руб. Marvel's Spider-Man + UFC 3 Deluxe Edition PS4 USA800 руб. God of War +The Witcher Complete Edition + 8GAMES PS4 USA800 руб. UFC 3 + MK XL + Mafia III + Ghost Recon Wildlands PS4 USA800 руб. FAR CRY 5+ Shadow of War+ UFC 2 Deluxe+ STEEP PS4 USA800 руб. EA SPORTS UFC 3 PS4 RUS (РУССКАЯ ВЕРСИЯ)800 руб. NBA 2K19 20th Anniversary Edition + UFC 2 PS4 EUR800 руб. EA SPORTS UFC 3 PS4 РОССИЯ800 руб. EA SPORTS UFC 3 Deluxe Edition PS4 EUR/ RUS800 руб. Marvel's Spider-Man + Super Heroes 2 + UFC 2 PS4 USA800 руб. EA SPORTS UFC 3 Deluxe Edition PS4 [РУССКИЙ ЯЗЫК]800 руб. Black Ops 4 + UFC 2 + LEGO Marvel Super Heroes 2 PS4 EUR800 руб. RESIDENT EVIL 7+UFC 2+Friday the 13th+4 ИГР[PS4\RUS]899 руб. Battlefield 1+DLC+FIFA 18+UFC 2+UFC+BF4 [PS4\RUS]899 руб. F1 2018 + UFC2 + NFS Payback + 2GAMES PS4 EUR/RUS899 руб. EA SPORTS UFC 3 + 9GAMES PS4 USA899 руб. AC Odyssey+UFC 3 +Far Cry 5+Farming Simulator 19(USA) PS4900 руб. Marvel's Spider-Man+Persona 5+UFC 2 (PS4) USA900 руб. PS4 UFC 3, Call of Duty: Black Ops 4 (USA)900 руб. God of War (2018)+ Witcher 3+ Sniper Elite 4+ 9 Games PS4 US900 руб. PS4 NBA 2K19, Odyssey, UFC 2, + 7 TOP GAME (ENG)900 руб. The Witcher 3: Wild Hunt + 9 GAMES |USA| PS4900 руб. UFC® 3 + Battlefield™ V + Until Dawn™ + Games PS4 EUR900 руб. UFC 3 + Spider-man + 7GAMES PS4 USA900 руб. EA SPORTS™ UFC® 3 + Black Ops 4 PS4 EUR900 руб. Marvel's Spider-Man + NFL 19 + 2 Games PS4 USA900 руб. UFC® 3 + Marvel's Spider-Man + UFC® 2 PS4 USA900 руб. FIFA 19 + UFC® 2 + TES V:Skyrim PS4 EUR900 руб. EA SPORTS ™ UFC® 2 + 5 GAMES |RUS| PS4901 руб. PS4(RU)XCOM® 2+SW Battlefront™ II+UFC® 2 DE999 руб. BF1+UFC 2+NFS Payback+NFS+NFS RIVALS+STEEP+5ИГР[PS4\RUS]999 руб. П3 - UFC3 (PS4/RU) Активация999 руб. UFC 3 + NHL 19 + NHL 18 + Black Ops 4 - Deluxe PS4 USA999 руб. PS4 EA SPORTS UFC 3 EUR/RUS1000 руб. UFC® 3 Deluxe Edition+ARK+Watch Dogs 2+Friday 13 (PS4) US|RU1000 руб. FIFA 19+God of War III+UFC 2 (PS4) BRASIL1000 руб. UFC 3 + KINGDOM HEARTS III + God of War + ИГРЫ PS4 RUS/ENG1000 руб. WRC 7+Безумцы+ Games PS4 РОССИЯ1000 руб. RESIDENT EVIL 2+ EA SPORTS UFC 3+ PUBG+ THE FOREST PS4 ENG1000 руб. EA SPORTS™ UFC® 3+BioShock: The Collection (PS4) EU|RU1000 руб. UFC 3+Detroit: Become Human+Skyrim (PS4) EN|US|RU1000 руб. UFC 3 Deluxe+Assassin's Creed Triple Pack+NFL 19 (PS4) USA1000 руб. UFC 3 + Spider-Man + A Way Out + ИГРЫ PS4 RUS/ENG1000 руб. Battlefield V+Marvel’s Spider-Man+EA SPORTS UFC 3 PS4 EU/RUS1000 руб. EA SPORTS UFC 3+ Watch Dogs 2+ Mafia III+ MK XL PS4 RUS1000 руб. EA SPORTS™ UFC® 3 (EUR/RUS) PS4 РУССКИЙ ЯЗЫК1000 руб. PS4 UFC 3, Spyro Reignited Trilogy, RUGBY 18 (ENG) 1000 руб. UFC 3 Deluxe+NASCAR Heat 2+Crew+NFL 18 (PS4) US|RU1000 руб. Redemption 2 + UFC® 3 + 15 TOP GAMES PS4 USA1000 руб. EA SPORTS™ UFC® 3 RUS |USA| PS41000 руб. EA SPORTS™ UFC® 3 RUS |EUR| PS41000 руб. EA SPORTS UFC 3 + God of War +2GAMES PS4 EUR/RUS1000 руб. UFC 3 PS4 EURO/RUS1000 руб. EA SPORTS UFC 3 PS4 RUS (РУССКАЯ ВЕРСИЯ)1000 руб. FIFA 19+UFC® 3 (PS4) EU|RU1000 руб. FIFA 19 + MK XL + UFC 2 + FIFA 18 + FIFA 17+ PS Plus PS4 USA1000 руб. UFC 3+Batman+Hellblade+Rise of the Tomb Raider(PS4/RUS)1000 руб. EA SPORTS UFC 3 + UFC 2 + Uncharted 4 + 3GAMES PS4 EUR/RUS1000 руб. UFC 3+Witcher 3+FF XV+Battlefront II (PS4) US|RU1000 руб. EA SPORTS™ UFC® 3, издание 'Знаменитость' PS4 РОССИЯ1000 руб. UFC 3 + RDR2 + Black Ops 4 + 6GAMES PS4 USA1000 руб. ACE COMBAT™ 7: SKIES UNKNOWN+Spyro+UFC® 3 (USA) PS41000 руб. UFC 3 + Shadow of the Tomb Raider + 4 games (RU) PS41000 руб. PS4 Anthem Legion, RDR2 , UFC 3, JUMP FORCE USA1000 руб. PS4 FIFA 19 Ultimate, Origins, UFC 2, PES 18 EUR1000 руб. UFC 3 + NHL 19 + RDR 2 + 6GAMES PS4 USA1000 руб. FIFA 19 + GoW + UFC® 3 + Games PS4 ENG1000 руб. UFC® 3 + Mortal Kombat X + Diablo II+SOULCALIBUR PS4 РОССИЯ1000 руб. PS4 Battlefield V Deluxe, UFC 2 (RU) РУС1000 руб. UFC 3 + FIFA 19 + Need for Speed Payback PS4 EUR/RUS1000 руб. UFC 3 + RDR2 + Rainbow Six + Battlefield 1 PS4 USA1000 руб. 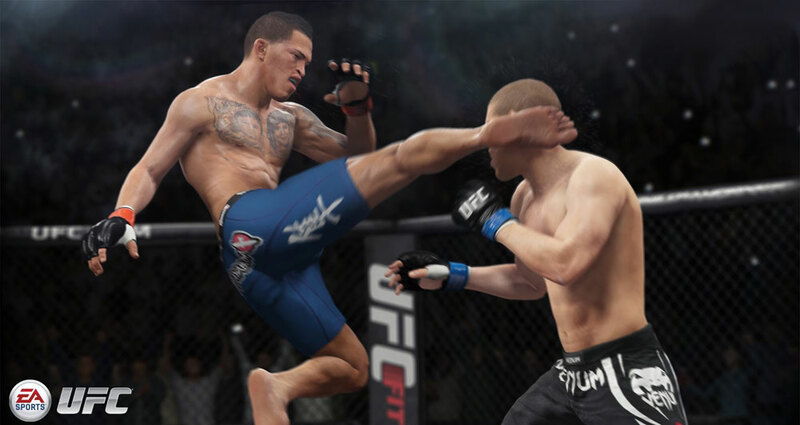 UFC® 3 + FIFA 19 PS4 ENG1000 руб. FIFA 19 + UFC® 2 + Crew® 2 + FIFA 18 + Battlefield™1 PS4 EUR1000 руб. EA SPORTS UFC 3 + Mortal Kombat X PS4 RUS1000 руб. EA SPORTS UFC 3 + ELEX PS4 RUS1000 руб. Red Dead Redemption 2 + NBA 2K19 + UFC 2 + 3GAMES PS4 USA1000 руб. UFC 3 + NFS Payback + ИГРЫ PS4 РОССИЯ1000 руб. Mortal Kombat XL + UFC 3 + 5 ИГР PS4 РОССИЯ1000 руб. UFC 3 + Ведьмак 3 + Assassin's Creed PS4 РОССИЯ1000 руб. UFC 3 + NFS + NHL 18 + ИГРЫ PS4 РОССИЯ1000 руб. UFC 3 + God of War + 3GAMES PS4 USA1000 руб. Red Dead Redemption 2 + Anthem + UFC 3 + Sims 4 PS4 USA1000 руб. FIFA 18+NHL 18+UFC 3(RU) PS41000 руб. God of War+UFC 3+NBA 19+RDR 2 (USA) PS41000 руб. UFC 3 + Mortal Kombat XL + NFS Rivals + 7GAMES PS4 USA1000 руб. UFC 3 + The Forest + ARK + Fallout 4 + BF 4 PS4 RUS/ENG1000 руб. EA SPORTS UFC 3 + Call of Duty: Black Ops 4 PS4 RUS/ENG1000 руб. UFC 3 + WRC 7 + NFL 18 + FIFA 18 + Overwatch PS4 RUS/ENG1000 руб. Far Cry New Dawn + RDR 2 + UFC 3 + 6GAMES PS4 USA1099 руб. TEKKEN 7 + FIFA 19 + UFC 3 PS4 [RUS]1099 руб. Fallout 76+UFC 3+Vampyr+3GAMES PS4 EUR1100 руб. UFC 3 + Odyssey + Origins + The Ezio Collection PS4 RUS/ENG1199 руб. PS4 Red Dead Redemption 2+God of War+UFC 2+F1 2017+Game USA1200 руб. FIFA 19+ARK+UFC 2 Deluxe+FIFA 18 PS4 EUR/RUS1200 руб. RDR 2+ARK+UFC 2+BF1+No Man's Sky+MKX (PS4) UK|RU1200 руб. Red Dead Redemption 2+UFC 2 (PS4) EN|RU1200 руб. Battlefield V Deluxe Edition +2GAMES PS4 EUR/RUS1200 руб. RDR 2 + BF V + PUBG + UFC3 + NHL 19 + NBA 19 +NFL 19 PS4 USA1200 руб. FIFA 19+AC Одиссея+UFC 2+SIEGE+HITMAN(PS4/RUS)1200 руб. UFC® 3 + South Park Gold + Murdered PS4 РОССИЯ1200 руб. RDR 2+UFC 3+BF V+Fallout 76+OPS 4+Nioh+TLOU(PS4)EN|RU1200 руб. FIFA 19+Assassin’s Creed Единство+UFC 2+ИГРЫ(PS4/RUS)1200 руб. Red Dead Redemption 2 + UFC 3 + 5GAMES PS4 EUR/RUS1200 руб. Assassin’s Creed Odyssey+ Redemption 2+ UFC 3+ Games PS4 RUS1200 руб. UFC 3 + FIFA 19+Spider-Man+Odyssey+Black Ops 4 PS4 EUR Spain1200 руб. UFC 3 + Sniper Elite 4 + Hitman GOTY + 4GAMES PS4 EUR/RUS1200 руб. EA SPORTS™ UFC® 3+5 GAMES(EUR/RUS) PS41200 руб. Redemption 2+ UFC 3+ NFL 19 + Mortal Kombat X PS4 RUS1200 руб. God of War (2018)+ Redemption 2+ Witcher 3+ Games PS4 RUS1200 руб. RESIDENT EVIL 2 + RDR 2 + UFC 3 + 4GAMES PS4 EUR/RUS1200 руб. EA SPORTS™ UFC® 3 + 5 TOP GAMES PS4 USA1200 руб. PRO EVOLUTION SOCCER 2019 + 12GAMES PS4 EUR/RUS1200 руб. RESIDENT EVIL 2 + Mafia III + FIFA 19 + ИГРЫ PS4 РОССИЯ1200 руб. Redemption 2+ Battlefield V+ UFC 3+ Black Ops 4 PS4 EU/RUS1200 руб. Battlefield V+UFC 3+PUBG+NBA 2K19 PS4 USA1250 руб. UFC 3+Spyro+God of War+Witcher 3+7 GAMES(PS4/EU/RUS)1299 руб. П3 - UFC 3 (PS4/RU) Активация1299 руб. Assassin's Creed Odyssey +Black Ops 4+UFC 3+ИГРЫ PS4 RUS/ENG1299 руб. Far Cry®3 Classic Edition+Far Cry®5+2 GAMES (EUR/RUS) PS41299 руб. UFC® 3 + NBA 2K19 + Assassin's Одиссея + Ведьмак PS4 РОССИЯ1300 руб. Assassin's Creed® Одиссея + ИГРЫ PS4 РОССИЯ1300 руб. Middle-earth: Shadow of War + A Way Out +14GAMES PS4 EUR/RUS1399 руб. Человек-паук+UFC 3+DmC+BF 1+Bloodborne+MK X(PS4/RUS)1399 руб. God of War + WWII + Modern Warfare + ТОП ИГРЫ PS4 Россия1400 руб. UFC® 3 +Games PS4 EUR1400 руб. Red Dead Redemption 2(RUS)+10GAMES PS4 USA1400 руб. Redemption 2 + Ведьмак 3 + GAMES PS4 РОССИЯ1400 руб. RESIDENT EVIL 2 + UFC 3 + GAMES USA|PS41400 руб. Mortal Kombat 11+UFC 3(USA) PS41400 руб. PS4 Sekiro: Shadows Die Twice, Detroit, UFC 2, The Forest1400 руб. Red Dead Redemption 2 + UFC 2 + ИГРЫ PS4 RUS/ENG1400 руб. UFC® 3+God of War™ Digital Deluxe/RU+4 GAMES (EUR/RUS) PS41499 руб. We Happy Few Digital Deluxe + 12GAMES PS4 EUR/RUS1499 руб. UFC 3+God of War+Red Dead Redemption 2+Человек-Паук(PS4/RUS)1499 руб. UFC 3 + RDR 2 + Spider-man + BF V + BO4 + 10GAMES PS4 USA1499 руб. Far Cry® New Dawn + UFC 3+ RDR 2 + GAMES PS4 ENG1500 руб. UFC® 3 + God of War + Redemption 2 + GAME PS4 USA1550 руб. Assassin's Creed Одиссея + RDR 2 + ИГРЫ PS4 РОССИЯ1599 руб. Tom Clancy's The Division 2 + Anthem + UFC3 + 5GAMES PS4 ENG1599 руб. FIFA 19+NHL 19+UFC 2+NBA LIVE 19+MK XL(PS4/RUS)1699 руб. HITMAN 2 GOLD + Shadow of the Tomb Raider+ AC Odyssey RU|PS41700 руб. UFC 3 + Red Dead Redemption 2 + NFL 19 (PS4) RUS/EUR1700 руб. RESIDENT EVIL 2 + UFC 3 RU|PS41700 руб. Sekiro + Anthem + UFC 3 + God of War + TOP GAMES PS4 USA1700 руб. HITMAN 2+UFC 3+RDR 2+Rugby League Live 4 PS4 EUR/RUS1750 руб. God of War+RDR 2+Far Cry 5+UFC 3+ИГРЫ(PS4/RUS)1799 руб. NBA 2K19 + 3 GAMES |USA| PS41799 руб. Battlefield V+UFC 3+Fallout 76+Detroit+7 игр(PS4/RUS)1799 руб. Sekiro + God of War + UFC 3 + Anthem + TOP GAMES PS4 USA1900 руб. FIFA 19+Tomb Raider+UFC 3+Horizon+Истоки+20 ИГР(PS4/RUS)1999 руб. Mortal Kombat 11+FIFA 19+UFC 3(PS4/RUS)1999 руб. UFC 3 +PUBG+God of War+MK X+ Spider-man+25GAMES PS4 EUR/RUS1999 руб. UFC 3 + Spider-man +Divinity: Original Sin 2+27GAMES PS4 USA2199 руб. Mortal Kombat 11+Batman+PSPLUS+UFC 3+4 игры(PS4/RUS)2199 руб. PS4 / RUS # UFC 3 # Аренда - 7 - дней 282 235 руб. PS4 / RUS # UFC 3 + FIFA 19 # Аренда - 7 - дней 348 290 руб. UFC (PS4/RU) (Аренда 7 дней)80 руб. UFC 2 (PS4/RU) (Аренда 7 дней)90 руб. UFC 2 PS4 аренда 7 дней RUS95 руб. UFC 2 (PS4/RUS) Аренда 7 суток145 руб. UFC (PS4/RUS) Аренда 7 суток149 руб. Friday the 13th +UFC2 (PS4/RUS) Аренда 7 суток190 руб. UFC 2 Deluxe (PS4/RUS) Аренда 7 суток190 руб. UFC 2 PS4 ENG РОССИЯ — Аренда 2 недели 200 руб. UFC 3 PS4 RUS на русском - Aренда 1 неделя250 руб. UFC 3 (PS4/RU) (Аренда 7 дней)299 руб. UFC 3 PS4 RUS РОССИЯ — Аренда 1 неделя300 руб. UFC 3 (PS4/RUS) Аренда 7 суток325 руб. UFC 3 + DLC PS4 RUS РОССИЯ — Aренда 1 неделя330 руб. UFC 3 Deluxe (PS4/RUS) Аренда 7 суток450 руб.